The latest JEB release ships with our all-new Android resources (ARSC) decoder, designed to reliably handle tweaked, obfuscated, and sometimes malformed resource files. As it appears that optimizing resources for space (eg, the WeChat team has made their compressor/refactoring module publicly available, etc.) or complexity (eg, commercial app protectors have been doing it for some time now) is becoming more and more commonplace, we hope that our users will come to appreciate this new module. Here are the key points, followed by examples of what to expect from the new module. In terms of workflow, nothing changes: starting with JEB 2.3.10, the new Android Resources decoder module is enable by default. If you ever need to switch back to the legacy module, simply open the Options, Advanced panel, filter on AndroidResourcesDecoderSelector and set the value to 1 (instead of 2). First, the module can deal with obfuscated resources and malformed files better, resulting in lower failure rates. Ideally, we’d like to get as close as possible to a 0-failure, so please report issues! Second, flattened, renamed, or generally refactored resources are handled as well, and the original res/ folder will be reconstructed, resulting in a readable Resources sub-tree. By default, the latest Android framework (currently API 27) is dropped by JEB in [HOME_FOLDER]/.jeb-android-frameworks/1.apk. If an app you are analyzing requires additional framework libraries, drop them as [package_id].apk in that folder, and you should be good to go. 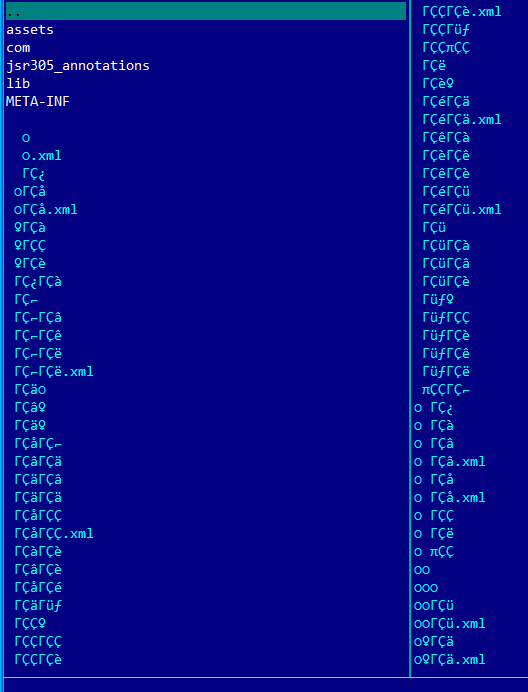 Here’s a sample that demonstrates what the output looks like with an app found on VirusTotal. The app is called itsme and is produced by the ING bank. It may have been obfuscated by GuardSquare’s DexGuard 1, which performs extensive resources refactoring (res/ folder flattening) and trimming (renaming of files, name-less resource objects, etc.). error: trying to add resource 'be.bmid.itsme:attr/' with ID 0x7f010001 but resource already has ID 0x7f010000. 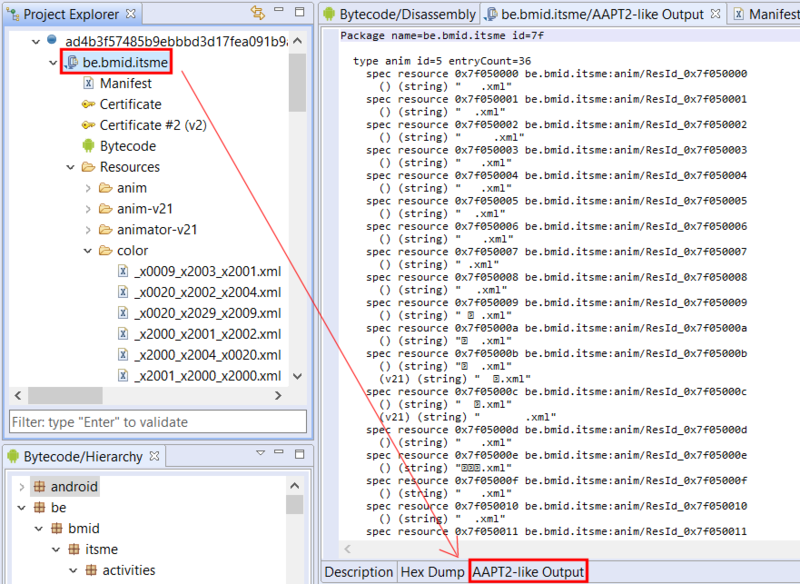 apktool 2.3.1 cannot reconstruct the resource tree either. Resources are moved to an unknown/ folder; on non-Linux system, resources manipulation also fail due to illegal character names. The resources are flattened and renamed; the XML resources are oddly structured and stretch the XML specifications as well. There are many more examples of “stretched” resources in APKs we’ve come across, however we cannot share them at the moment. If you come across unsupported scenarios or bugs, feel free to issue a report, we’ll happily investigate and update the module.